How does a Low Vitamin D Level Affect You? 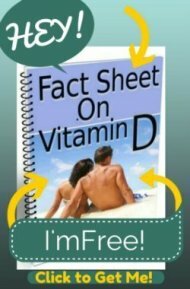 My vitamin d level is 15, what am I in danger of if it does not increase in a timely matter? What symptoms will my body exhibit? I am a 49 year old female going through menopause. So, it's likely that you didn't JUST get vitamin D deficiency, even though you were JUST diagnosed. So the question REALLY becomes, "What diseases and problems HAVE YOU BEEN putting yourself at risk of for all of the years that you have HAD vitamin D deficiency?" Now that you KNOW that you have vitamin D deficiency, you should certainly be treated aggressively and get it up to the OPTIMAL range of between 40 to 80 ng/ml and not just the 30 ng/ml that it says on your lab test. And you should do this with Vitamin D 3 Supplements and not Prescription Vitamin D 2 supplements that your doctor likely gave you. If you are treated aggressively, you will likely get your vitamin d levels up within 3 to 4 months, so be sure to get a retest of your vitamin D levels just to make sure. and more. But the only thing that you can do NOW is to do your best to reduce these risks by getting your vitamin D levels up, eating right, exercising regularly and all of the other things that you (and everyone else for that matter) really should be doing ANYWAY -not just because you have found out that you are now vitamin deficient and at risk for disease. In my practice, the vast majority of people who have vitamin D deficiency are doing or not doing, as the case may be, many of the other things that reduce the risk of these same diseases that I mentioned above. So, if you are really serious about reducing the risks of these diseases and taking some action steps, a really good first step is to get The Body Ecology Diet and start following the dietary guidelines that she recommends. Since your vitamin D deficiency has made you more aware of some of the disease risks that you have, then it is really a great time to start taking action to a healthier YOU! Good luck and let me know if I can be of any help. Wow! That's a problem! You definitely need to contact your doctor. HOWEVER, your doctor is going to most likely decide to increase your PRESCRIPTION vitamin D to 100,000 per week and its the prescription Vitamin D that is likely part of the problem. 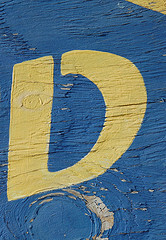 Prescription Vitamin D is Vitamin D2 and you can read about why If You Take Prescription Vitamin D You Might Want to Think Twice. 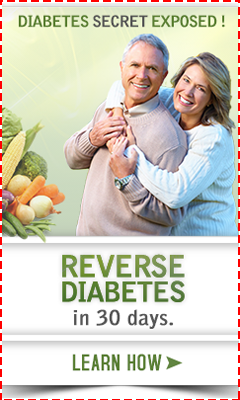 So, really it would be better for you to get Vitamin D3 Supplements and go from there. But the REAL problem here is that for some reason you are not ABSORBING these supplements. And the question is WHY!? The most likely reason is that you have Increased Intestinal Permeability and it's likely that some of your problems are due to OTHER nutritional deficiencies as well. But if you can't ABSORB these nutrients, you will never get well! OK, that's a start. If you are ready to hear more then let me know and I'll go on with what you can DO about these situations if you are interested.